Over the past couple of years, as my “chocolate life” has developed, I have made many wonderful new friends through the power of social media. One friend called Juan Bronson, whom I met through Instagram, invited me to visit his farm, Izabal Agro Forest, in Guatemala. I decided to plan my next cocoa adventure around this visit. 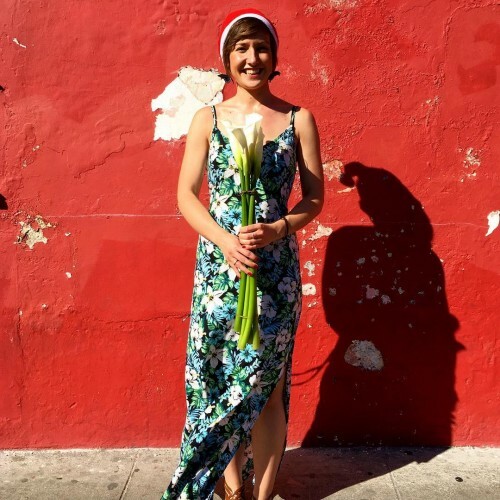 Guatemala was also a fantastic choice of destination for my love of textiles which I have mentioned previously, in my post about the San Blas Islands. It just so happened that Juan’s wife, Molly Berry, owns her own textiles company Luna Zorro, and who I’d also been following on Instagram and was dying to meet! I started the trip in Antigua, Guatemala. This is such a beautiful, rustic and romantic city. There wasn’t a whole lot of cacao there, but I did spend some time in the Museo de Chocolate where I felt very at home. They had plenty of cacao products on offer ranging from earrings, to soap, tea and even chocolate condoms… They also had chocolate being ground in the shop and chocolate making workshops. I spent time wandering the city and getting totally absorbed in all of the beautiful Mayan textiles. I also went on a hike up Volcan de Pacaya, fuelled by some delicious single origin, fine chocolate, of course. 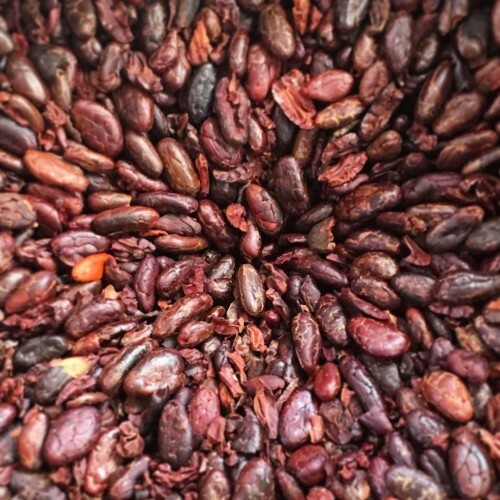 I took over a wet grinder to give to Juan as a thank you for hosting me, and so that we could make some chocolate together with beans from his farm. Juan invited me over on Christmas Eve to make chocolate, and as the grinder was drying in the oven at 50°C, the oven accidentally got turned up by some little hands which resulted in a molten grinder! 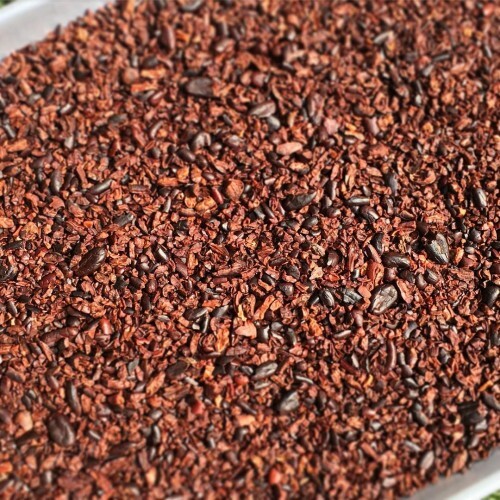 Juan ordered the replacement parts from the US and has since used it successfully to make chocolate with his cacao. Phew! 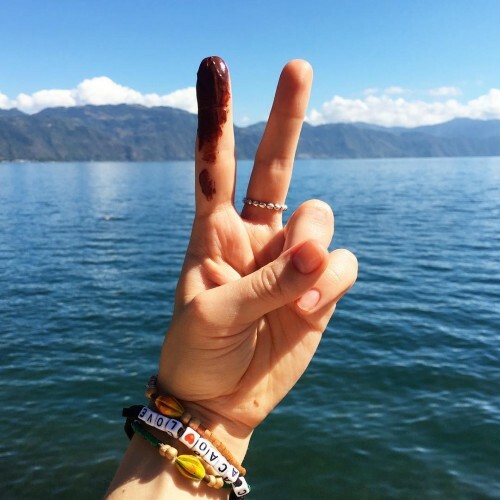 I then spent some time on Lake Atitlán, where I relaxed and treated myself to lots of sleep, good food, massages, yoga and sunbathing (and chocolate!). 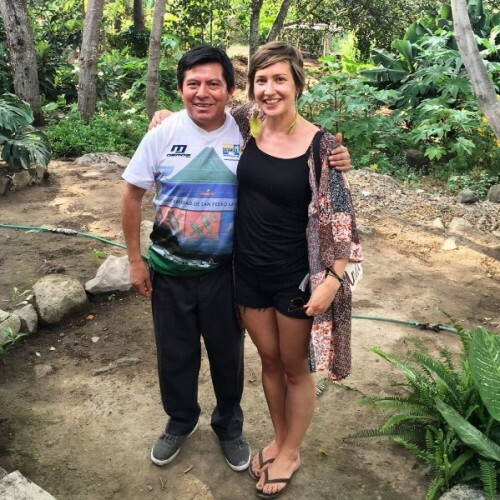 During my stay in San Pedro La Laguna, I visited Diego’s Chocolate – Mayan grown and Mayan made! They were very welcoming and let me watch the whole of their chocolate making process. I was surprised at how rustic the process was. Their chocolate, which comes in various different flavours, is sold around Guatemala and also in the US. 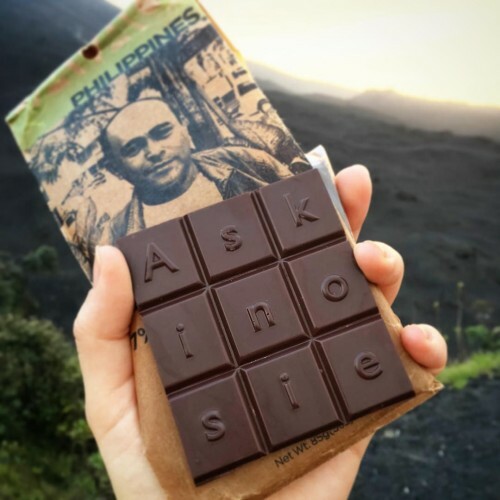 I first discovered Diego’s Chocolate at the Northwest Chocolate Festival last October. 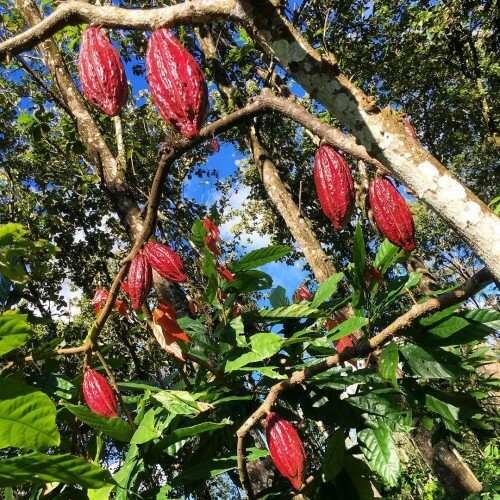 Then the true part of the cocoa adventure began… visiting Juan’s cocoa farm! Hacienda Rio Dulce has been part of the Bronson-Diaz family for almost 4 decades, once managed as pastureland today it is an award winning agro-forestry plantation, specialising in endangered species hardwoods and heirloom cacao. 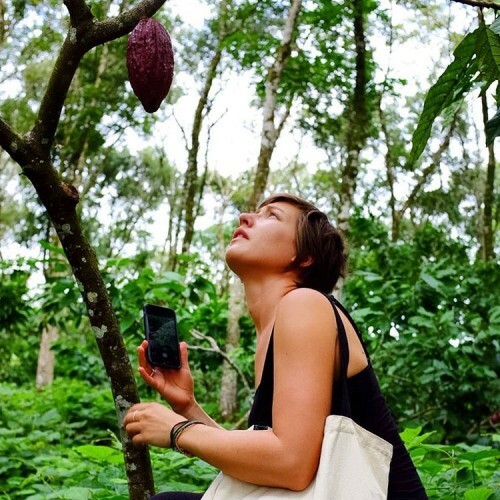 Mesmerised by the wondrous cacao! Hacienda Rio Dulce is managed by Izabal Agro Forest, a service company founded by Juan Bronson. The farm is a 5 hour drive from Antigua, near Guatemala’s Caribbean coast. Unfortunately the harvest was not so great, due to the climactic El Niño Phenomenon (weather pattern resulting from variations in ocean temperatures in the Equatorial Pacific), which has affected crops all over the Latin American tropics. 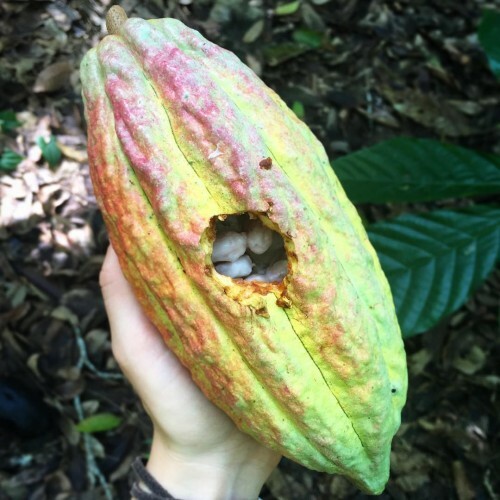 We wandered through the beautiful forest learning about cacao and agro-forestry and collecting a few cocoa pods. Despite the poor harvest, we had enough pods for a micro fermentation. 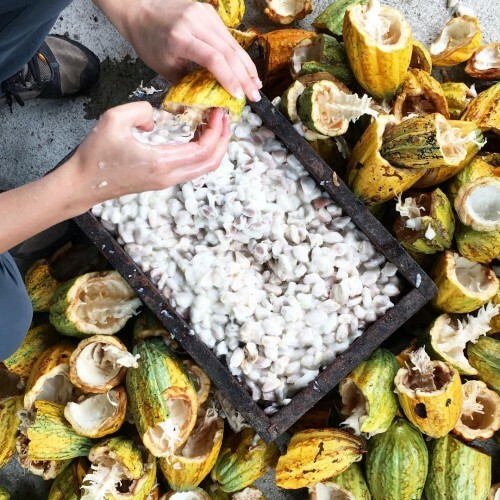 It was wonderful to take part in these steps, harvesting cacao from “tree to bean”, and to taste the delicious cacao pulp again! Juan has 14 employees on the farm so there was actually little to be done, unlike my stay at La Iguana Chocolate, Costa Rica. 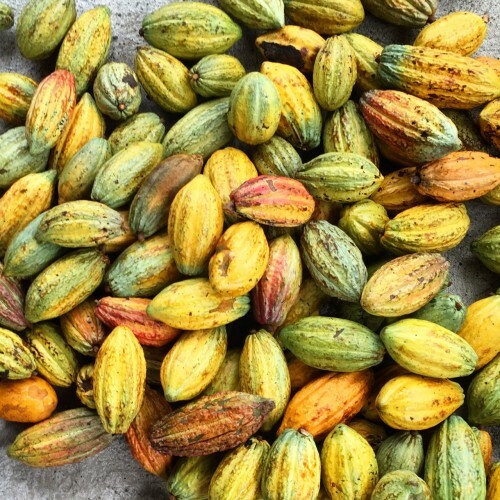 Juan’s employees work on the farm all year round on various tasks including: prepping seeds for germinating, feeding the worm troughs, pruning, fertilising, grafting, harvesting, fermenting and drying the cacao, to name just a few! 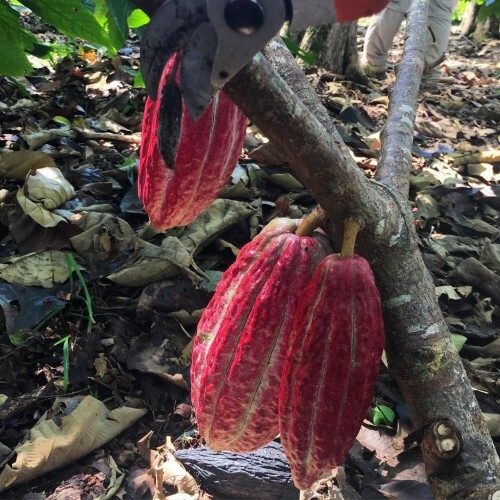 Interestingly, cacao pods do not naturally fall from the trees once they are ripe (or if the pods die) so I spent some time exploring and giving the trees a little “podicure”! We were able to check on the fermentation during the first few days and it was very interesting to see how the mass of beans changed from one day to the next. 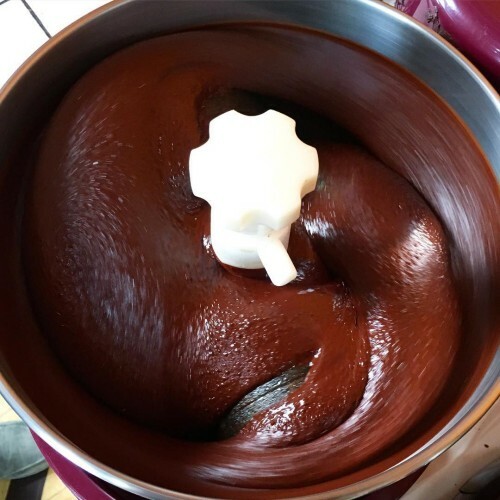 Fermentation is quite complex and the least understood stage of chocolate making. After one day, a few bubbles appeared and the pulp started to dry out on the surface. 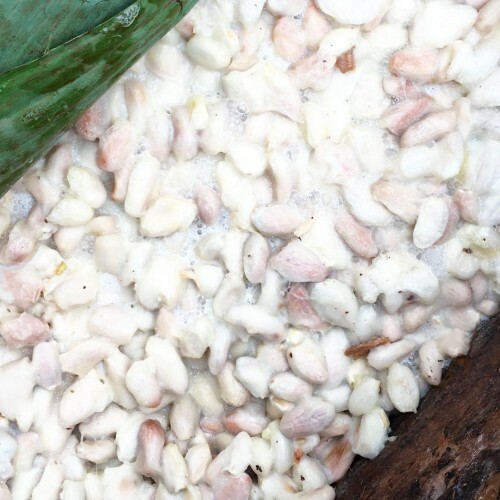 A banana leaf is used to cover the cacao to insulate (for heat) and help keep out oxygen for the anaerobic phase of the fermentation. The leaves can also add some natural yeasts to facilitate the fermentation. Someone beat us to it! After visiting Juan’s farm, I moved up north to Belize for a bit of beach time before my return to the English winter. I also visited a sugar mill in Northern Belize owned by my employer (ASR Group) and a chocolate maker, of course! What a stunning location for a chocolate shop! 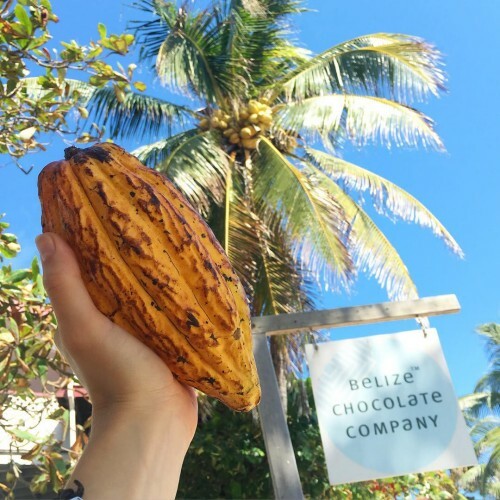 I actually only discovered Belize Chocolate Company during my stay in Rio Dulce when they popped up on my Instagram. It just so happened that they were on the island of San Pedro next to my final destination, Caye Caulker. I got in touch and arranged a visit! 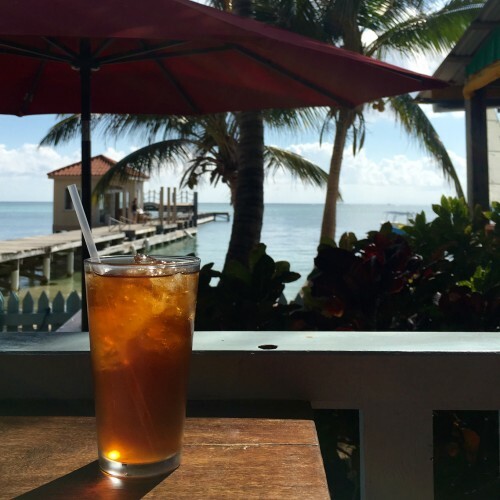 I had the pleasure of meeting with Jo Sayer, co-owner of Belize Chocolate Company, and discussing all things chocolate over an iced cacao tea under the palm trees! Jo shared a lot of product tastings with me, including chocolates made with local ingredients and Belizean grown and made chocolate. I am always fascinated by the variety of flavours found in chocolate, and it was really interesting to compare two of Jo’s bars using beans from the same origin but from different harvests. 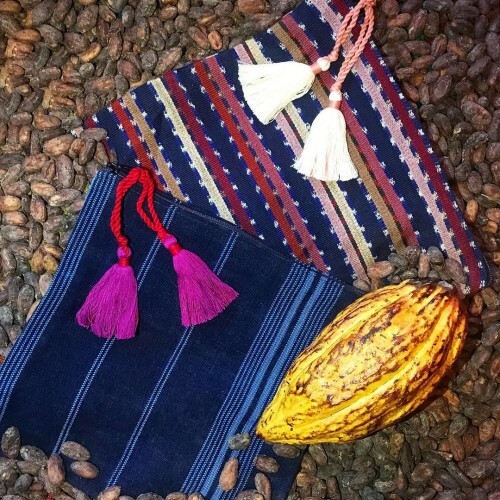 I also discovered some beautiful cocoa bean earrings and a Mayan-made textile bag in her shop! 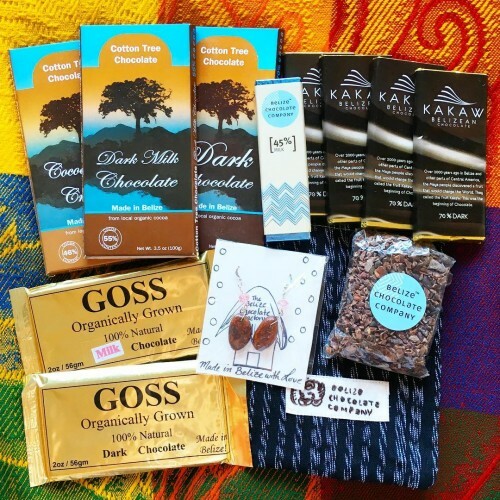 In Belize City airport I topped up my Belizean chocolate collection with bars from Goss and Cotton Tree Chocolate before heading back to the English winter. The last two bars from the chocolate stash that I took with me on my trip! One of my favourite parts of the trip was sharing my stash of fine chocolate with friends that I made along the way. 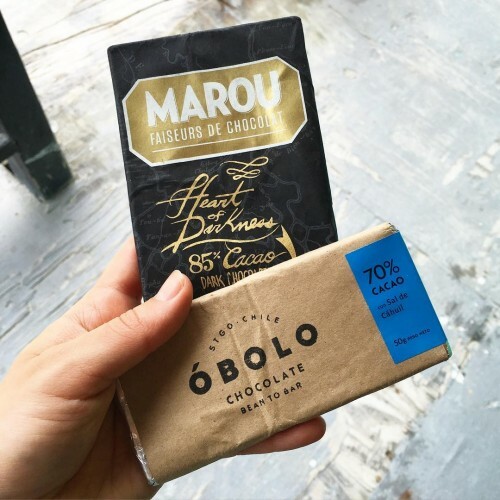 It’s safe to say that these bars inspired my new friends to look at the chocolate world in a new light! Thank you to everyone involved in this cocoa adventure; I met some truly wonderful people and my love for chocolate grew even more! Central America holds a big place in my heart and I can’t wait to discover more of it.